Thyroid nodules have become a common clinical problem, and the clinical importance of thyroid nodules lies in the determination of thyroid cancer. This study aims to evaluate the risk factors for papillary thyroid cancer (PTC) with regard to urinary iodine concentration (UIC), thyroid-stimulating hormone (TSH), thyroid peroxidase antibody (TPOAb), and thyroglobulin antibody (TGAb) in comparison to thyroid nodular goiter (NG). Among the 2041 patients, 43.8% of which showed more than adequate (UIC 200–299 μg/L) and excessive iodine (UIC ≥ 300.0 μg/L) status. 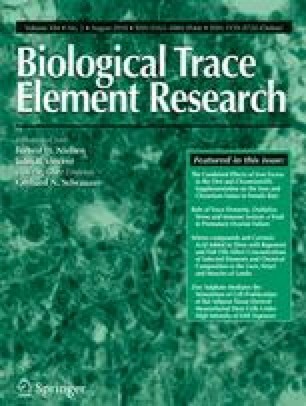 Compared with adequate iodine intake, iodine deficiency (UIC < 100 μg/L) was inversely associated with multifocality (OR 0.59, P = 0.040), while more than adequate iodine intake was independently associated with an increased risk of larger tumor size (OR 1.33, P = 0.002) in female PTC patients but not in males. No significant difference in UIC was observed between patients with PTC and NG, suggesting that high iodine intake may be related with the growth of PTC, but not with its oncogenesis. Besides, positive for TPOAb and TGAb were individually associated with papillary thyroid microcarcinoma (PTMC) risk (OR 2.05 and 1.71, respectively, both P < 0.05) in female patients with tumor foci < 1 cm but not in males. Furthermore, younger age (< 46 years), TGAb positivity and small thyroid nodules in both sexes, higher TSH, TPOAb positivity, and multifocality in females could all predict PTC risk (all P < 0.05). These results might have clinical significance for managing patients with thyroid nodules and those with thyroidectomy. The authors gratefully acknowledge all the staff from Union Hospital in Wuhan for their kindly cooperation. We thank Prof. Yingjie Wang in the School of Foreign Languages, Huazhong University of Science and Technology, Wuhan 430000, China, for proofreading and editing this manuscript.